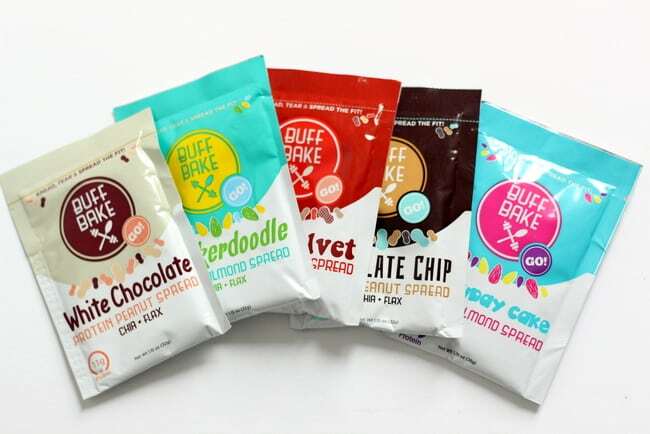 Are Buff Bake products worth your hard-earned cash? 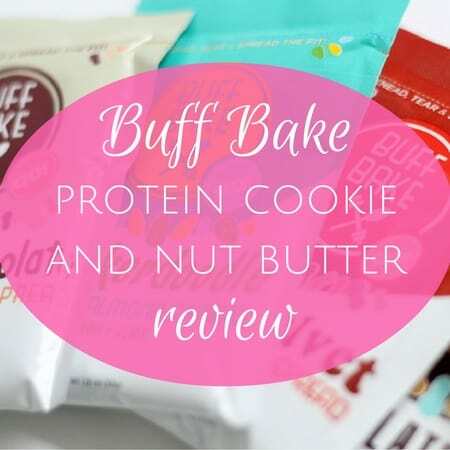 Read on for my Buff Bake review! Sometimes you can find American products on French sites, but the selection is often lacking and/or the prices are obscene. I finally found Buff Bake protein cookies on a French site and got the nut butter sample pack on the US site and had family ship it to me. Buff Bake does have a UK site but shipping prices to other parts of Europe are quite high and products are often sold out. The good news is if you sign up for the Buff Bake newsletter, they will keep you in the loop about promotions. Every little bit of savings counts! Let me mention that yes, France does have health food stores like the chain Biocoop and others, but they’re nothing like what you’d find in the USA. You won’t find snickerdoodle almond butter here! At my Biocoop, they didn’t even know what chia seeds were a few months ago. Yes, I translated it correctly! OK, time for my Buff Bake review. Keep in mind, this a protein cookie and isn’t going to taste like a regular Mrs. Fields dessert cookie. 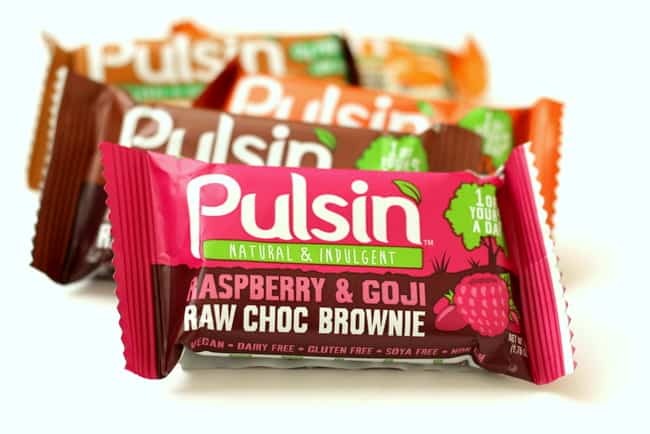 That said, in terms of protein cookies, they’re a solid product if you like that sort of thing, but I didn’t fall in love and would not buy them again. Chocolate Chip Peanut Butter: I’m a huge peanut butter and chocolate chip fan but I think the flavor combo would would better separately when it comes to protein cookies. This was good but a bit dry and had a strong nut smell — not in a good way. 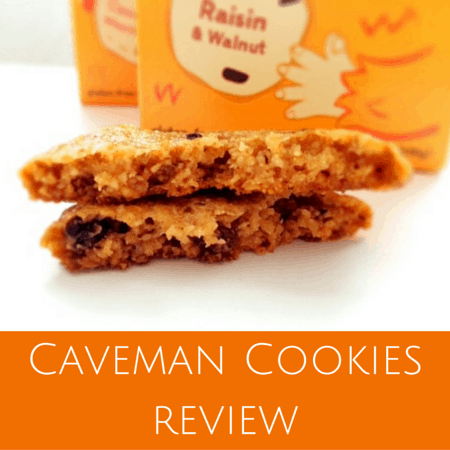 Oatmeal Raisin: This was just OK. I thought the flavor was good but wouldn’t buy it again. White Chocolate Peanut Butter: Again, the peanut butter flavor was a little overpowering and I wasn’t a huge fan of this flavor. 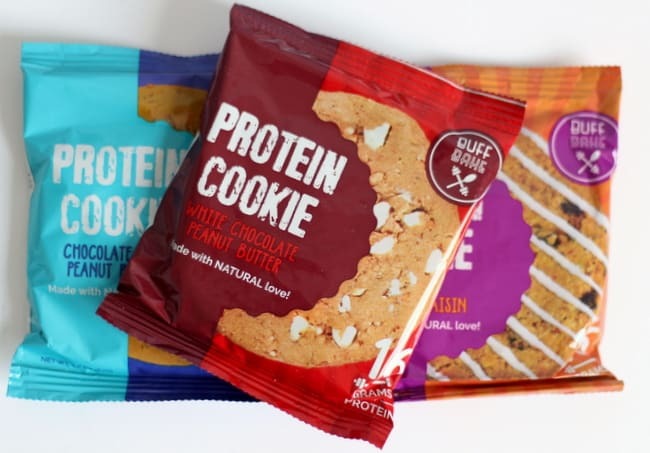 Buff Bake Protein Cookies are relatively high in calories. If you look at the nutrition information, a serving is 1/2 a cookie, so do the math and you’ll see that one whole cookie is approximately 360 calories. This is standard for this type of cookie like Lenny & Larry’s and others, but with that high of a calorie count, you may want to make these a “once in a while treat” or just eat a regular dessert and indulge. Buff Bake protein cookies are a decent size but aren’t giant (as you can see in pic, it’s a little larger than my palm). If you’re counting calories on a low-cal diet, this may not be for you. 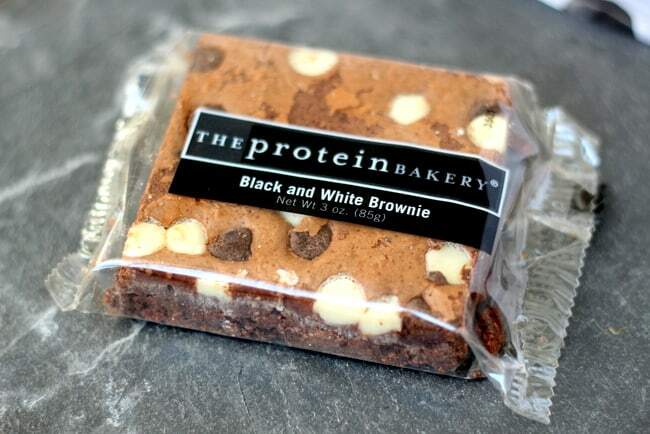 But if you’re quite active and looking for a protein boost, they’d be a good choice if you like protein cookies. They just weren’t for me. Taste of butters: 4, All flavors were good and some were GREAT! Buff Bake makes a variety of protein-packed almond and peanut butters and I bought the 5-flavor sample pack to test out (5 pouches for $9). I got a squeeze pack of Snickerdoodle, Chocolate Chip, Red Velvet, Birthday Cake and White Chocolate. The flavors were all subtle and not overpowering at all. 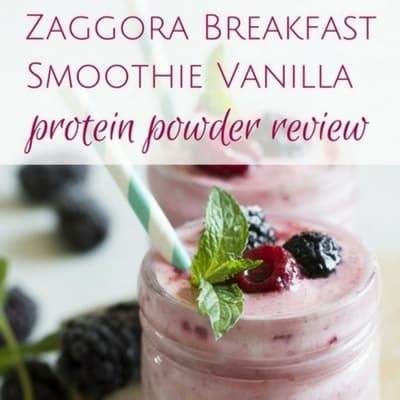 All flavors have only 4g of sugar per squeeze pack serving — none tasted sweet and that’s a good thing — and pack 11g of protein along with chia and flax per serving. You can eat the butters plain, with fruits or veggies, in a smoothie, with oatmeal, etc. The options are endless. Birthday Cake: This almond butter tasted fine but was the stickiest of the bunch and it lingered on my palate. What turned me of was the smell upon opening the squeeze pack. It smelled like funfetti frosting and a tiny bit artificial although it’s not. Funfetti frosting is great, but for me, it’s not a flavor I want in my almond butter. Once it was in my mouth, it was fine but the smell got me. White Chocolate: This peanut butter was the lightest in color and had a faint hint of sweetness but it wasn’t one I’d buy again. Red Velvet: This peanut butter flavor had a really nice, pleasant taste although I wouldn’t have known it was Red Velvet if you didn’t tell me. It just tasted great, like a yummy regular peanut butter with a hint of chocolate. 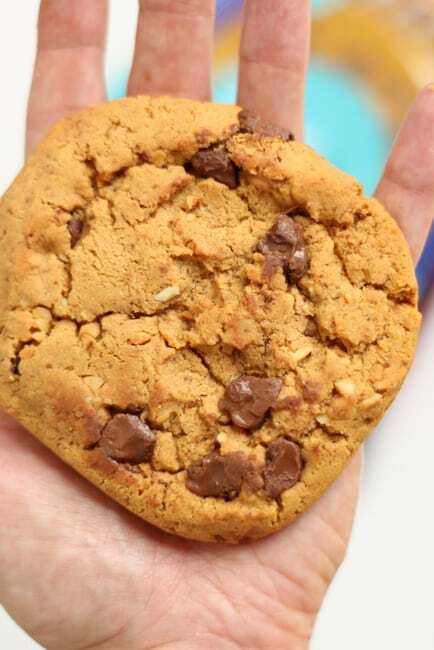 Chocolate Chip: This peanut butter flavor was smooth and tasted great and had a definite chocolate flavor. It could probably be called chocolate since there weren’t actual chips. Snickerdoodle: This almond butter was delicious and had a slight hint of cinnamon. It’s one of my favorite flavors in general so of course I loved it as an almond butter flavor. I went on to buy a big tub of it which is half gone already. 😉 Snickerdoodle FTW. I saw that Buff Bake makes a seasonal pumpkin spice flavor and am really curious. Has anyone tried it? If you only had $20 to spend and had to choose between Buff Bake protein cookies or nut butters, I’d go with the nut butters. They’re more versatile and the flavors are better in my opinion. If you could only get one flavor, go with Snickerdoodle! 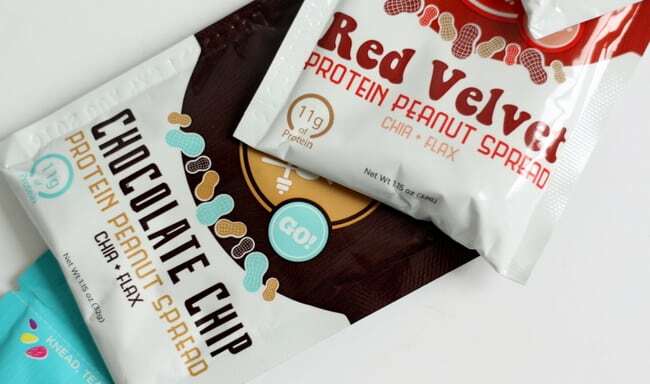 Do you like nut butters or protein cookies? Have you ever tried Buff Bake? Disclosure: I paid for all the products I tested and am not affiliated with Buff Bake in any way.